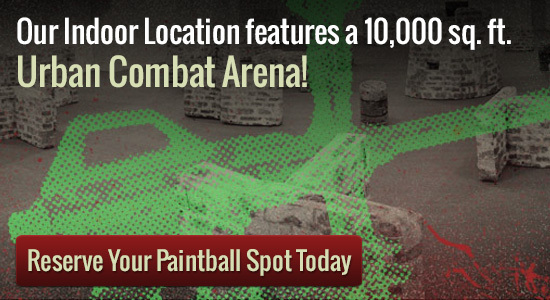 When it comes to playing paint ball in Minneapolis, sometimes it can be hard to find a challenging playing field. Many companies offer playing fields that are little more than a vacant piece of land in the woods. This can make paintball games mundane and even boring. Fortunately, Splatball is there to provide the ultimate playing fields in the region. Playing paintball games is a great way for groups to get together to celebrate special occasions such as birthday parties, bachelor parties and corporate events. Playing paintball games is also an excellent activity for youth groups. Splatball is our indoor location is in downtown Minneapolis. It features a 10,000 square foot urban combat arena as well as the largest retail store/tech center in Minnesota. The entire facility is climate controlled for maximum comfort. We even have an observation area and private party room. The skilled employees of Splatball will there be to assist you make the day in the taking pictures job areas a pleasurable experience. The warm and friendly workers can help you with every aspect of planning for a class day out which includes planning gear hire. Merely contact to create reservations for the group of people along with staff members fellow member will allow you to with all the information. Splatball knows that men and women don’t usually have a team of other people to try out snapping shots games with. This is not a problem. Specific walk-on perform is offered. Folks simply need to demand the existing go walking-on schedule. With regards to picking a paint soccer ball Minneapolis actively playing discipline, Splatball is the perfect choice. We offer affordable everyday or seasonable rates. All of the required supplies including C02, color balls and compressed air fills are also available at reasonable prices.